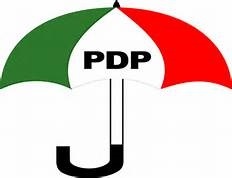 The Peoples Democratic Party (PDP) is currently leading in Saturday's Osun-west senatorial by-election . The party’s candidate, Demola Adeleke has taken a comfortable lead over APC’s Mudashiru Hussein. Results from various polling units across the 10 local government areas showed that PDP has established a clear lead. Collation of results has already commenced at the ward level across the 110 wards in the senatorial district for onward collation at the senatorial district headquarters in Iwo town in the state. Final result is expected to be announced by the Independent National Electoral Commission (INEC) on Sunday.